Zirconia (metal-free) dental implants are here! Zirconia implants have been used in Europe for years, and they are now available in the United States. 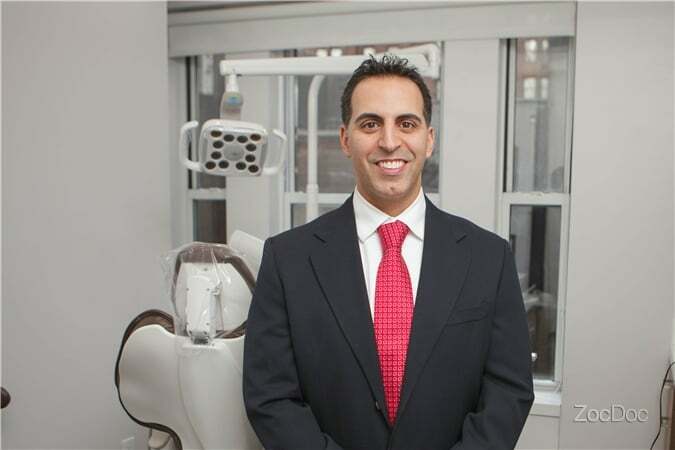 Advanced Periodontics & Implant Dentistry Manhattan now offers absolute metal-free teeth replacement solutions using metal-free dental implant technology. What are Metal-free dental implants? Metal-free (also known as Zirconia implants or all-ceramic implants) are one of the best materials available today for dental reconstructions. Zirconia is a lightweight metal, that is incredibly strong – and resistent to bending, making it an ideal material for dental implants. Its bright-white, tooth-like color makes it all the more suitable for tooth replacement. Readily accepted and integrated by the surrounding bone, leading to successful implants, and permanent stability of teeth. In fact, Zirconia bridges have proven to be stable even after 50 years of biting and chewing! What do Metal-free dental implants look like? Here are some of our metal-free restorations using all-white Zirconia implants. An all-white Zirconia dental implant used to replace a front tooth can make the restoration even whiter, as no metal is used beneath the crown. When the gums have receded around old bridges, leaving a dark edge visible around the crowns, metal-free Zirconia implants eliminate the use of metal, and therefore eliminate the dark edge, leaving a bright white, natural looking smile. Many patients have a missing tooth, but otherwise their teeth are healthy. They may opt for metal-free dental implants which are a natural, holistic approach to replacing missing teeth. To learn more about Zirconia dental implants, or to find out if metal-free implants are right for you, please come in for a personal consultation. Scheduling is easy – give us a call, or request a consultation online – we look forward to meeting you, and creating your individualized, comprehensive treatment plan. To see results from our previous patients, visit the metal free dental implant before and after gallery.